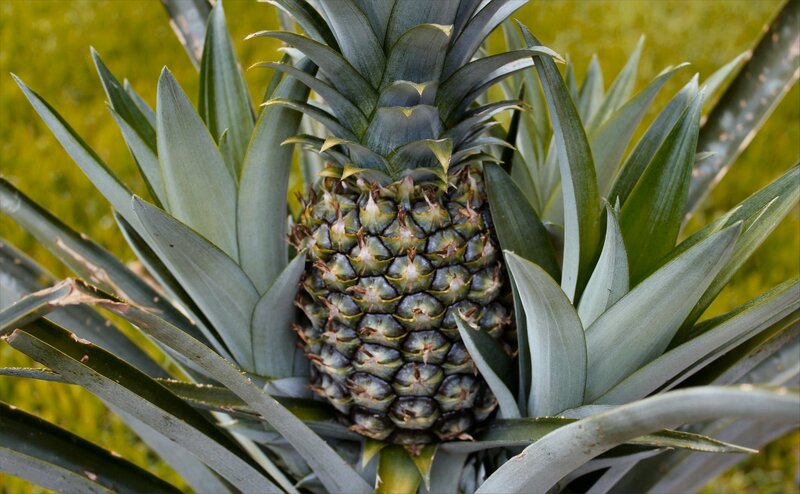 If you’re a regular reader, you might remember that in 2011 we grew and harvested our first ever homegrown pineapple. It was the best of times. We’re such dorks, we called our kids & grandkids and invited them over for the weekend so we could harvest it together. 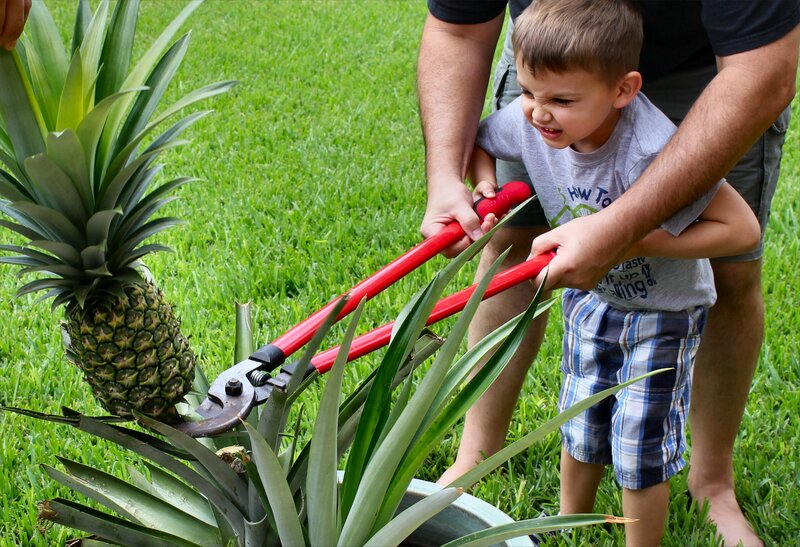 The Complete Package helped our grandson, Jonah Bear, cut the first pineapple. Go Jonah Bear! Jonah Bear puts some muscle into harvesting the pineapple. Then Jonah & I immediately cut it up and baked a birthday cake for our granddaughter, Lilly Bug. What a great adventure that was. And so much fun. 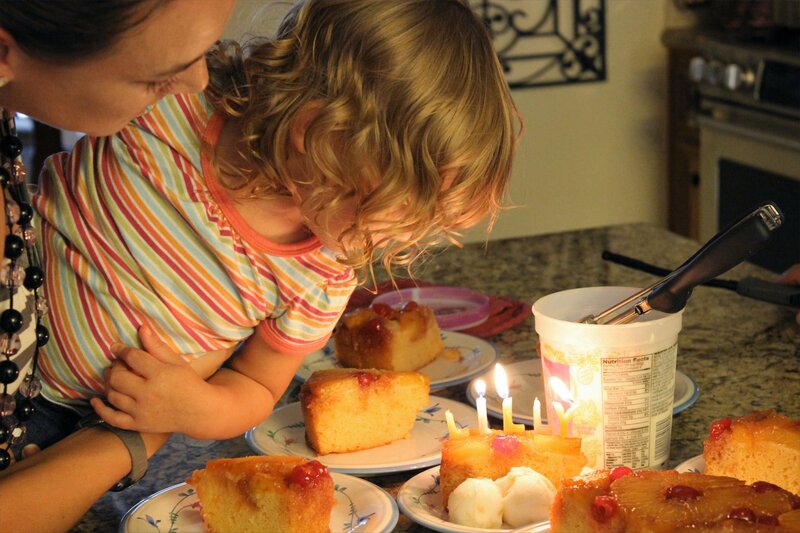 Lilly Bug blows out the candles on her homemade cake. 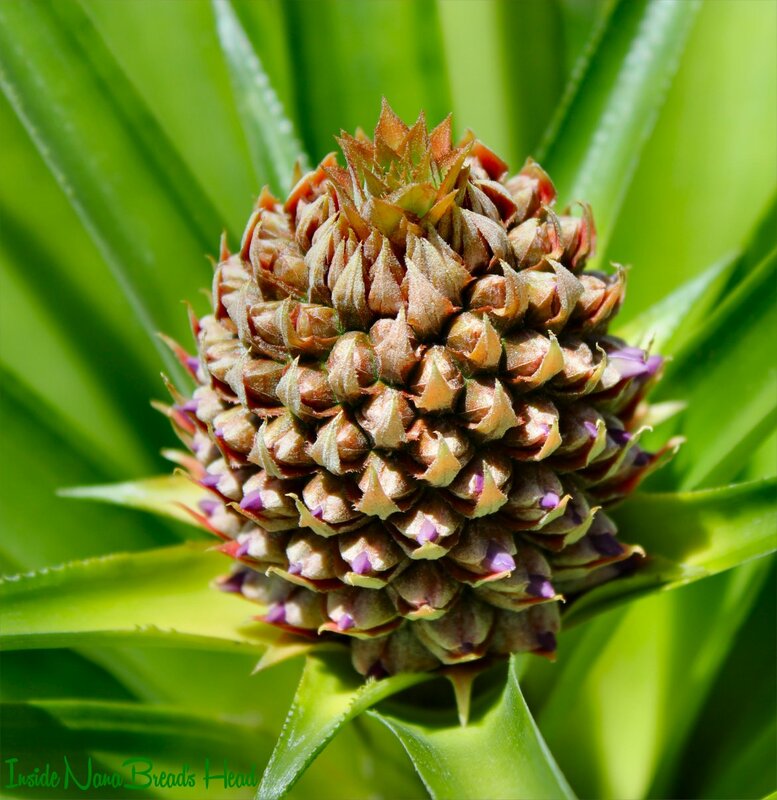 Well, this year – we have four baby pineapples. FOUR! It’s so amazing. 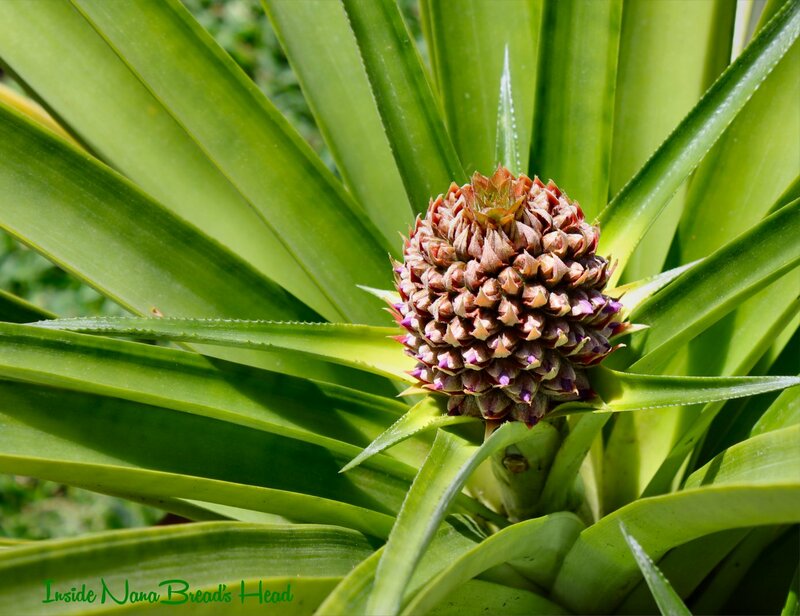 Of the ten pineapple plants currently growing on our back porch, four have bloomed and produced fruit. We are so excited! Here are a few shots of the new babies. 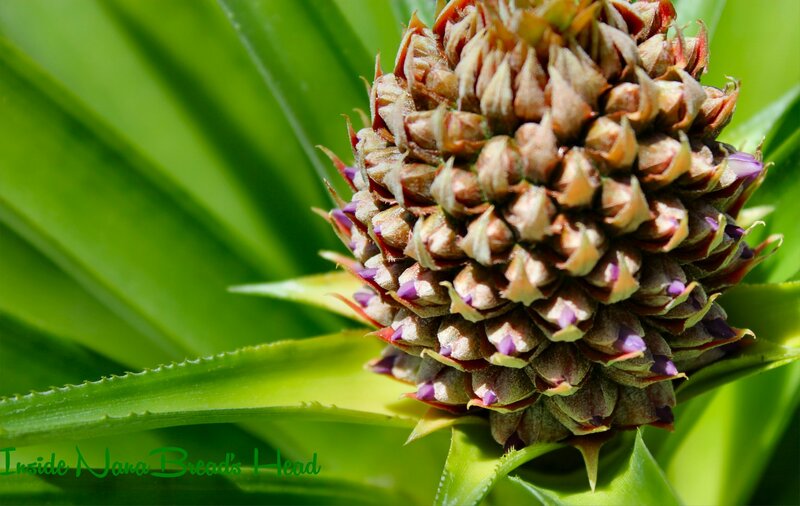 This snap shows the baby pineapple on its stalk. This one shows the crown starting to form on top. If you look closely at the tips, you’ll see the purple flowers almost ready to emerge. So hold on to your britches, folks. This summer promises to bring All The Pineapple Goodies. While I’m sure there’s another pineapple upside-down cake in our future (because last year’s cake was beyond delicious), there’s no telling what the others may become. Pineapple preserves? Pineapple sherbet? Pineapple tarts? Feel free to shout out suggestions! Like all other mothers with new babies, I’m sure I’ll post additional photos as they grow.